There’s a ton of television and, thankfully, an outrageous amount of it is available to stream on Netflix without ads. But with so many options available on Netflix, from its originals to the classics, we thought you might need help figuring out your next binge-watch. Every month, we’ll select three TV shows that you should fit into your free time, to save you some time. This month, we selected two Netflix originals that have second seasons making their debut in June, and one AMC critical darling that completed its run in 2017. Netflix description:Re-creating the dawn of the personal computer era, this digital drama tracks the fates of an industry visionary and his brilliant colleagues. “Halt and Catch Fire,” a show I could go on about for days, ended its fourth and final season in 2017. The entire series is available to stream right now on Netflix. When the show premiered on AMC in 2014, it was somewhat unfairly compared to the AMC greats: “Breaking Bad” had just ended, and “Mad Men” was still on the air. The show, which dramatizes the computer boom in the 1980s and eventually moves forward to the early days of the internet, was initially dismissed as a knock-off prestige drama. But it grows into its own with its characters (especially the women) who you will honestly love more than your friends, and it integrates seamless but stark time jumps that other shows have never been able to pull off quite as well. Netflix description: In 1980s LA, struggling actress Ruth and a scrappy group of women set out to conquer the airwaves as the all-female Gorgeous Ladies of Wrestling. 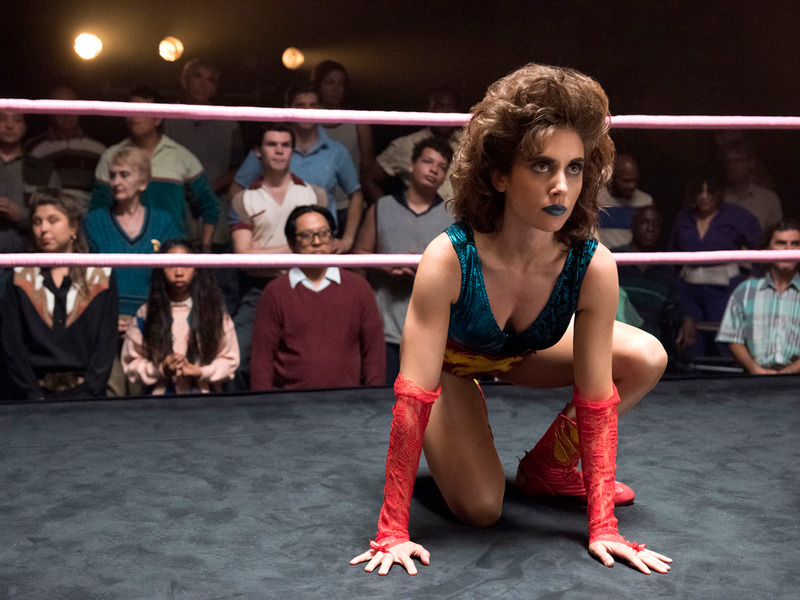 “Glow,” based on the 1980s show “Gorgeous Female Ladies of Wrestling,” is a fictionalized story of the casting and making of that show starring Alison Brie, Betty Gilpin, and Marc Maron. “Glow” debuted on Netflix in 2017, and debuts its excellent second season June 29. Set in 1980s LA without being to in-your-face about it, “Glow” is hilarious, heartfelt (but not in a cheesy way), and filled with complicated women from many backgrounds. It’s charming, emotional, and works so well because its cast has incredible chemistry. You can stream season one now, and catch season two at the end of the month. In a world filled with reboot after reboot, Netflix’s adorable, moving “Queer Eye” proved that this one was necessary. The new fab five represent a different era than the first cast, represent the diversity of our country, and in each episode they show so much care to the men they’re making over. Set in Atlanta and small towns surrounding it, the fab five also aren’t shy about confronting stereotypes and some contestants (called “heroes” on this show) who aren’t exactly comfortable with homosexuality. You can watch season one now, and season two is available on June 15.